“RV camping” and “Grunge” may not click at first glance, but if you still miss the ‘90s and the glory days of Grunge, it will all soon make sense. Seattle, the birthplace of flannel-wearing, electric guitar slamming garage bands, also happens to be an awesome RV camping venue. If your vintage vinyl honors Pearl Jam, Stone Temple Pilots and Nirvana, your next RV road trip should be to Seattle. Where Can I Find Seattle Grunge Landmarks? Your Seattle pilgrimage can take you to the places where the bands played, recorded and hung out in the late ‘80s and ‘90s. Expect some of the locations to be under different names now; as with every city, businesses come and go. You can, however, map the trail of places important during the Grunge movement without much trouble. As you pay homage to the Grunge Movement in Seattle, you’ll want to visit the unofficial Kurt Cobain memorial in Viretta Park. This unassuming little spot directly across the street from the house where Kurt Cobain died includes a park bench covered with graffiti from Cobain fans. Feel free to photograph the house from a distance, remembering that it’s private property. Check the website for London Bridge Studio before you come to find out when they’ll be open for tours. Some of the biggest names in Grunge recorded here, including Soundgarden and Pearl Jam. Buy your tour tickets online before you come to Seattle on your RV road trip. Grunge may be gone, but Seattle still has a five-star indy and live music scene. Plan to visit The Crocodile, a live music venue where Nirvana and Pearl Jam were known to play. Check their concert schedule; you might just get lucky and be in Seattle when one of the Grunge tribute bands is performing. Another venerable music venue that should be on your list is The Showbox near Pike Place Market. Grunge gods often played here, and it’s still a good place to catch live music, with every genre music you can imagine playing here since the ‘30s. One more stop Grunge fans will want to make before leaving Seattle is Re-Bar, the legendary club where Nirvana was bounced for starting a food fight during the release party for Nevermind. Not your run-of-the-mill art/music/comedy venue, Re-Bar offers edgy shows and often features regional bands. What RV Campgrounds Are Near Seattle? It is possible to find a campsite close-in to the city, but drawing a circle in a forty-mile radius around Seattle will give you lots of amazing options. You’ll find private camping resorts and campgrounds from Everett to Tacoma. We’ll highlight just a few. Eagle Tree RV Park in Poulsbo, WA, is on the Kitsap Peninsula, just across Puget Sound from downtown Seattle and served by the Seattle-Bremerton Ferry. Lake Pleasant RV Park, north of Seattle in Bothell, WA, has lakeside campsites and easy access to bike trails that will take you to downtown Seattle. Blue Sky RV Park, twenty miles west of Seattle on I-90, has a nice, park-like feel with plenty of green space. National park campgrounds near Seattle are another option. The Seattle/Puget Sound area is ringed by national parks with picturesque RV campsites. You’re going to have to drive a little farther to reach those Seattle Grunge landmarks, but the view will make it worth the trip. Olympic National Park & Forest west of Seattle also accommodates RVs in three of its campgrounds. North Cascades National Park, where the glaciers rule, has RV-ready campsites in its main campground. Here’s one more resource to help you find the right campground in Washington State. Where’s Seattle’s Best Coffee Shop? Admit it, when I said “Seattle”, your brain said, “coffee”. And what would a Grunge-seeking, coffee-loving RVer do when visiting Seattle except search for the city’s best coffee shops? It’s going to take some time to visit the espresso options in this java-centric city, but here are a few suggestions to get you started. Milstead & Co. in the Fremont neighborhood ranks high in hipster chic, but Grunge fans will still love the coffee. Storyville Coffee in the famed Pike Place Market never lacks in espresso-scented charm. Voxx on Eastlake comes with the bonus of mid-century modern décor. If Grunge music never died, as far as you’re concerned, and you’ve learned how comfortable RV travel can be, it’s time to put tires to pavement and get to Seattle. Walk the streets, visit the venues and experience the coffee of your dreams in the town where the best bands of the nineties got their start. Out of RV Travel Ideas? If you camp by RV often, you may find the same old campgrounds losing their luster. We’ve got five enticing lake destinations in America’s rugged Northwest to help restart your RV camping hearts. Pick one from our list below and get back on the road to camping fun. Located in the mountainous forests of Central Washington, Lake Chelan is a developed lake ringed by resort properties, quaint villages and abundant RV camping options. Winding its way through Lake Chelan National Recreation Area, Lakeshore RV Resort, operated by the city of Chelan, features full-service amenities paired with a swimming beach and easy access to services in town.the lake is custom-made for outdoor recreation. Boating, fishing, swimming, hiking and camping are popular ways to enjoy the bright blue waters of Lake Chelan and the surrounding Cascades. Campers are also within an easy drive of wineries, galleries, restaurants and shops in two lakeside villages – Chelan and Manson. A must-do day trip idea—hike or take the passenger ferry to the rustic village of Stehekin to enjoy unspoiled beauty. If you’ve been RV camping in Oregon, you’ve probably camped at magnificent Crater Lake. We’d like to offer Oregon travelers another possibility—RV camping at Lake of the Woods, a smaller, more intimate setting with plenty of woodsy charm. Lake of the Woods, in Oregon’s Southern Cascades, is a high mountain lake kept full year-round by snow runoff and natural springs. Kokanee salmon, German Brown and Rainbow Trout thrive in the cold, clear waters at five-thousand-feet elevation. Lake of the Woods Resort operates the camping concession within Fremont-Winema National Forest. Their small, nicely wooded campground features full hook-up and electric & water sites and is close to the marina. Plan to spend many hours outdoors at this lush mountain paradise, where trails wind through old-growth forests, around the lake and beyond to nearby mountains. Views of Mt. McLoughlin frame your journey as you paddle a canoe or kayak along the lake’s shoreline. Lake Coeur d’Alene in Northern Idaho is famous for its bright blue waters and first-class outdoor recreation. Camp in one of several RV campgrounds and resorts near the city of Coeur d’Alene and enjoy tour boat cruises, guided fishing excursions for chinook and bass, and golf on one of ten courses that ring this stunningly scenic lake. Trails in and around the city (be sure to try Tubbs Hill), as well as a section of the seventy-mile Trail of the Coeur d’Alenes, cater to hikers, trail runners and mountain biking enthusiasts. Adjacent Coeur d’Alene National Forest is also home to hundreds of miles of trails. Been promising your camping companions a fishing charter experience? There’s no better place in Montana to fish than Flathead Lake, the largest natural lake west of the Mississippi. Situated in the valley adjacent to Glacier National Park, Flathead Lake is fed by two cold, clear rivers. Local outfitters can guide you to where the forty-plus-pound Lake Trout (Mackinaws) feed. If you’re not into fishing, never fear. The lake is surrounded by hiking trails, two scenic highways that skirt the lake’s thirty-mile length and plenty of places to enjoy wildlife watching, swimming, water sports and comfortable Montana RV camping. Speaking of camping, Finley Point State Park Campground and a half-dozen private RV parks ring the lake, offering a variety of amenities. Most are on the water or in the lakeside towns of Polson, Bigfork and Rollins. One of the star attractions of Grand Teton National Park is the collection of alpine lakes within the park’s boundaries. Several of these mountain lakes are remote, accessible to hikers and tent campers. There are, however, RV camping options near the chilly, pristine waters of Jackson Lake. Colter Bay RV Park, five minutes from Jackson Lake, is a full-service campground with full-hookups and easy access to services in Colter Bay Village. Colter Bay Campground is a large, wooded campground suitable for dry camping in an RV. Showers, laundry facilities and a dump station are close by. Why camp at Jackson Lake while visiting Grand Teton National Park? It’s centrally located for access to all the park has to offer. The lake itself is famous for cutthroat, brown trout and lake trout fishing, and is also perfect for launching your sailboat or kayak. Boat tours are offered throughout the summer to give campers an up-close view of Mt. Moran and other jagged peaks that border the lake. Pick a lake that appeals to your heart and plan to go RV camping soon in America’s glorious Northwest. Be sure to let us know which lakeside camping adventure you’ll be repeating! Kids out of school soon and still haven’t picked your Spring Break vacation spot? Why not take the family RV camping this year? We’ve put together three camping destinations perfect for families on Spring Break. Have a houseful of eager young anglers looking forward to catching the big ones? Take the RV southeast from Austin to Edna, Texas and the wonders of Lake Texana. Brackenridge Park and Campground and Texana Park and Campground, both part of the Brackenridge Recreation Complex on the lake, offer Texas Spring Break RV Campers plenty of choice for accommodations. Not sure how to please everyone in your crew? Whether it’s hiking the trails, photographing wildlife or enjoying legendary Texas bass fishing, we think you’ll find something for everyone to enjoy on your stay. With a fishing pier, perfect bass habitat, canoe and kayak rentals and six hundred acres of shoreline to enjoy, this South Texas lake is an excellent place to entertain the youngsters on Spring Break. Don’t forget to reserve your Texas RV rental. Spring Break is right around the corner! Hoping to surprise the youngsters with a little gold this Spring Break? Why not camp in the heart of California’s Gold Country and spend some time in the town that’s also a State Historic Park? Columbia, California, home to an impressive collection of Gold Rush-era structures, has plenty for young prospectors to explore. Stroll the boardwalks with the family and soak up 1850s ambience, then stop to enjoy a meal, shop for souvenirs and enjoy the living history presentations. There are enough historic structures, museums and exhibits to keep everyone busy. Be sure to let the kids try their luck at gold panning, too; it’s a favorite activity for Columbia visitors. You’ll also enjoy camping in the beauty of the Sierra Nevada foothills. Private campgrounds in Columbia help keep family RV camping convenient. Families who want to divide their Spring Break time between urban adventures and outdoor recreation will find no better place than Bellingham, WA. Just south of the Canadian border and a couple of hours north of Seattle, this coastal city has plenty to discover. Start your time RV camping in Bellingham by challenging the young ones to complete at least part of the six-mile Interurban Trail. They’ll be rewarded with views of Bellingham Bay, the San Juan Islands and waterfalls in a dense urban forest. Plan to play awhile at Larrabee State Park at the trail’s southern end, where gorgeous Samish Bay and trails into the Chuckanut Mountains are just part of the outdoor splendor. While in Bellingham with kids, you’ll also want to visit the city’s exciting museums. One of the best is the Spark Museum of Electrical Invention, where you’ll find thrills for the entire family. Another don’t miss—Mindport, where art and science come together in a fun, interactive environment. Spend a day in the city’s Historic Fairhaven District enjoying shops, coffee houses and vintage charm. Take an hour’s drive east to Mount Baker Ski Area for a day on their world-famous slopes. One last travel tip for Bellingham RV campers—March will be cooler in Washington than in Southern Spring Break destinations, so pack plenty of cool weather clothing for the kids. Aren’t you glad you’ll be traveling in the roomy comfort of an RV? And there you have it, three fantastic ways to spend Spring Break RV camping with the kids. Whether you decide to travel to Texas, California or Washington, you’re sure to bring back memories that only camping with the family can deliver. The rush of water down the face of a mountain is a sight worth travelling to see, especially when you’re travelling in motorhome comfort. We’ve done the homework to create a ‘must-see’ list of five waterfalls worth adding to your RV travel list. Let us know in the Comments section which ones you’ve visited. On your RV trip to northern Georgia, combine a chance to hike the Appalachian Trail with a visit to Long Creek Falls for an unforgettable excursion. A 2-mile round trip trek down the “AT” through the Three Forks Valley will reward you with views of this beautiful waterfall rushing down the rocks more than fifty feet into a tree-lined pool. There’s plenty more to see and do in Chattahoochee-Oconee National Forest, so bring the RV and plan to camp awhile in Georgia. This famous falls is just north of Covington, Virginia, in the spectacular Allegheny Highlands area of the Shenandoah Valley. Follow Route 220 to this special place, where high rock ledges frame the eighty-foot falls. It’s the kind of place nature photographers fall in love with, so bring your favorite camera equipment and plan to hike down to the bottom for even more breathtaking views. Follow Hwy 189 north from Provo toward Heber and watch for the pullout for Bridal Veil Falls, one of Utah’s most photographed wonders. Motorhome campers with kids, in particular, love this waterfall because it’s easy to access and there’s a shallow pool at the base where young ones can wade. A two-tiered falls that travels more than six hundred feet to the bottom, Bridal Veil Falls should definitely be on your itinerary if you’re traveling through southern Utah. Tip: It’s a short drive to Wasatch Mountain State Park, where campgrounds with full hook-ups wait to welcome you. Follow the steps carved into this rocky gorge in New York’s Finger Lakes Region and you’ll be rewarded with views of nineteen waterfalls! Follow the Gorge Trail over, around and under these falls for exceptional scenery at every turn. The State Park has a convenient campground, so plan to stay awhile and explore additional waterfalls at nearby Finger Lakes state parks. The trails in this Central Cascades state park promise views of no less than nine waterfalls, including the 265-foot wonder that gives the park its name. Old growth forests, clear, rock-lined streams and a wide variety of wildlife make hiking here a delight. Come for the waterfalls and stay to discover outdoor recreation at its best on the shores of two rivers and three backcountry lakes. RV campgrounds in nearby Mt Baker-Snoqualmie National Forest makes it easy to stay! From Yosemite to Niagara, America has more than its share of magnificent waterfalls. Chase views of at least one of them this RV camping season and let us know what other falls should make our list. Happy trails! Most trips to Washington focus on Seattle and that certainly makes sense. Seattle is the jewel of the Northwest, a fantastic city full of great food, delicious coffee, and one of the best professional football teams in the country! What some people are not aware of, however, is that you will find some of the most beautiful wilderness in the country surrounding Seattle. If you’re looking for a combination of city fun and outdoor adventure, consider a memorable RV trip that takes you from Seattle’s Puget Sound all the way up to the Cascade Range mountains! After you pick up your RV, your first stop is a short drive down Interstate 5 to the Wild Waves Water Park. Wild Waves is the only outdoor water park in the Pacific Northwest, and it’s an awesome first-stop for the whole family as summer starts and the temperature begins to rise. The park features tons of creative water slides and several roller coasters, so there’s something fun for everyone. Even better, the lines are shorter than anything you’d find at more famous water parks in California or Florida. Click on the link above to see this amazing water park that will have your kids thanking you for years to come! It really captures the “Wow-factor” for adults and kids alike! Next, head up Highway 18 to the town of Snoqualmie and take in the glory of Snoqualmie Falls. You can watch the cascade from a viewing deck near the bottom if you wish, but we highly recommend taking a hike to the top of the 270 foot falls to enjoy the view. With the weather warming up, make sure to dip your toes in the water! On your way out, you can also pick up a package of the all-natural Snoqualmie Falls pancake mix. It’ll make for a great breakfast on the next day of your trip after camping at the Snoqualmie River RV park. It’s a good local choice for when you’re ready to turn in for the night. Less than two hours to the south, you can find yourself at the foot of Mount Rainier. This 14,410 foot peak is surrounded by a gorgeous national park. The mountain and its park are home to over fifty species of mammals and 120 species of birds, so bring your camera for you’ll have ample opportunity for wildlife viewing. Mount Rainier is also an active volcano and has twenty-five glacier. You will also be able to explore geological features that are rarely found so close to a major metropolitan city. For a last stop in the mountains of Washington, head for the world-famous town of Leavenworth. This small town completely remodeled itself in the early 1960’s to create the image of a Bavarian village. Every shop, hotel, and building front now presents the famous wood beam architecture that evokes the German Alps. While you would have to wait till the winter to take in the local ski slopes, you can still enjoy a full springtime schedule of live music, art walks, and simply exploring a countryside that is covered in wildflowers. Washington is full of wonders, and it’s worth your time to get out of the city to find them. Whether it’s shooting down a water slide or hiking through the mountains, the best way to enjoy it is in an RV. Pick one up today and let your adventure begin! 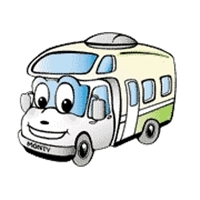 For more information on renting or buying a motor home CLICK HERE!